Designer's Blog : The Family room is all about royal decor and design highlighting optimum comfort and design aesthetics. The Pooja area and the TV unit are seamlessly partitioned. 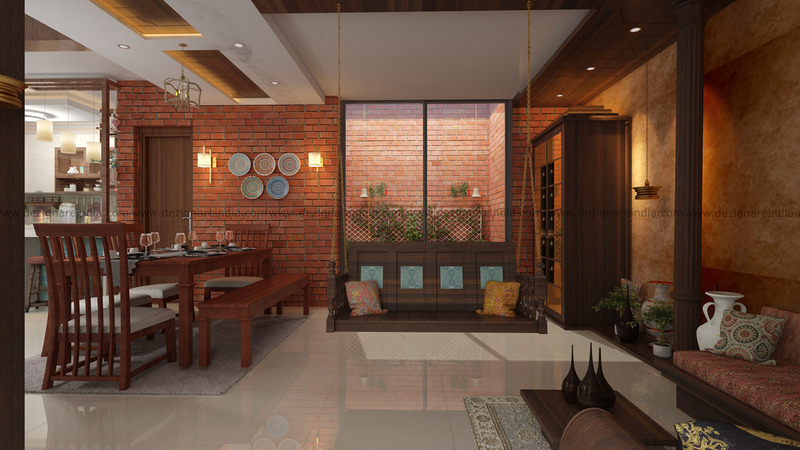 The low themes furniture, wooden paneling in the false ceiling highlights the entire area. Designer's Blog : The wardrobe with the dressing unit of the master bedroom has both space and design essentials. The upper loft is designed for maximum space utilization while the ivory shutters of the wardrobe makes space look bigger and stylish. 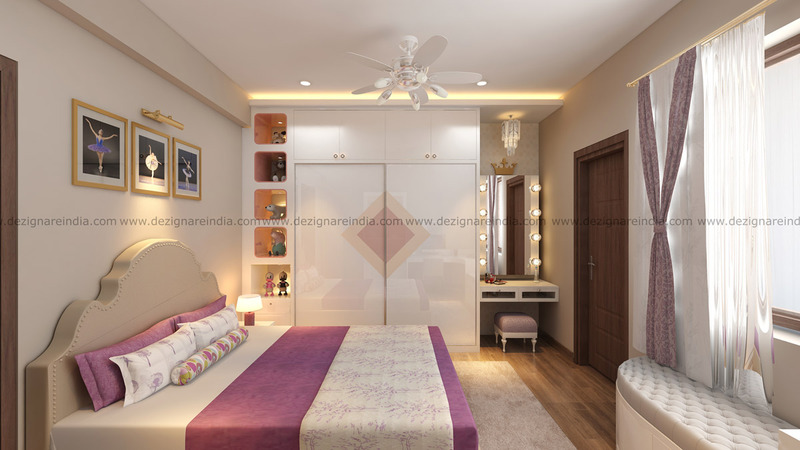 Designer's Blog : The lush interiors of the bedroom make up for a style quotient that enhances the overall design. The headrest is beautifully designed with beads. 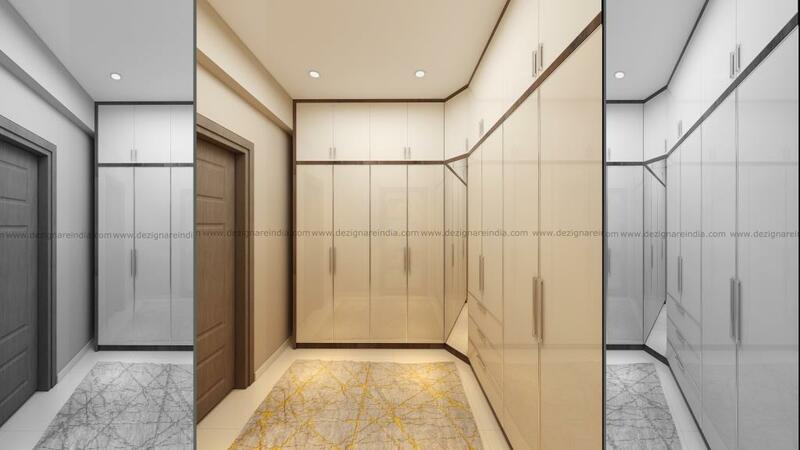 The sober colored wardrobe with the matching niches and dressing unit is the key for essence. Designer's Blog : The alcove seating with the attached study table and the book shelf showcases maximum functional decor. The bed-sheet and the curtains with complementary colors balances the sobriety. 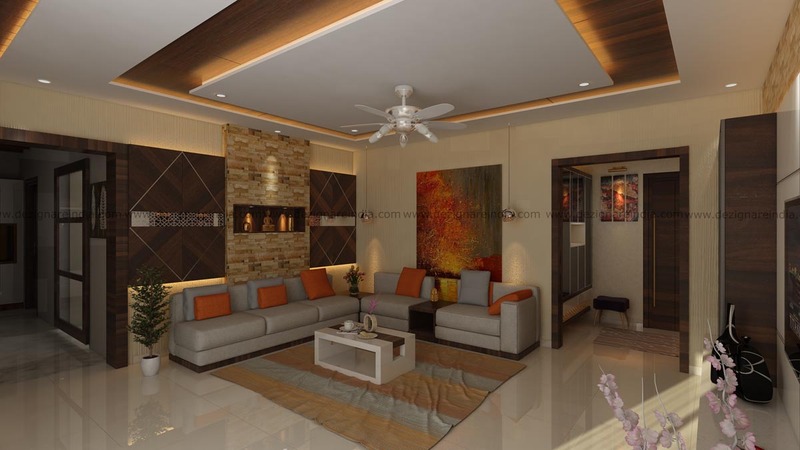 Cove light-up false ceiling, wooden flooring with big windows makes the room perfect. 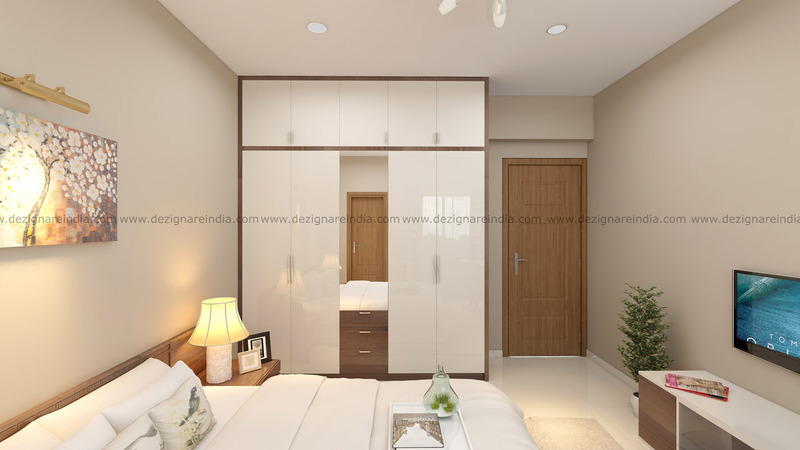 Designer's Blog: Guest bedroom designed to have subtle and neat interiors. 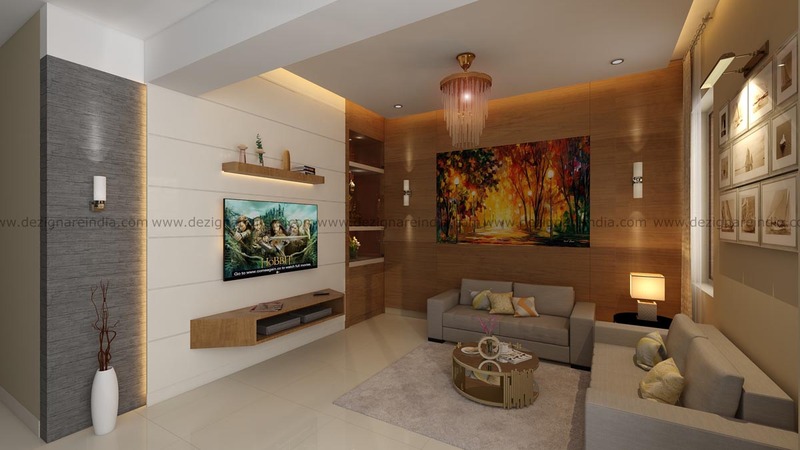 Natural white laminate and American walnut veneer completes the subtle characteristics of the room. 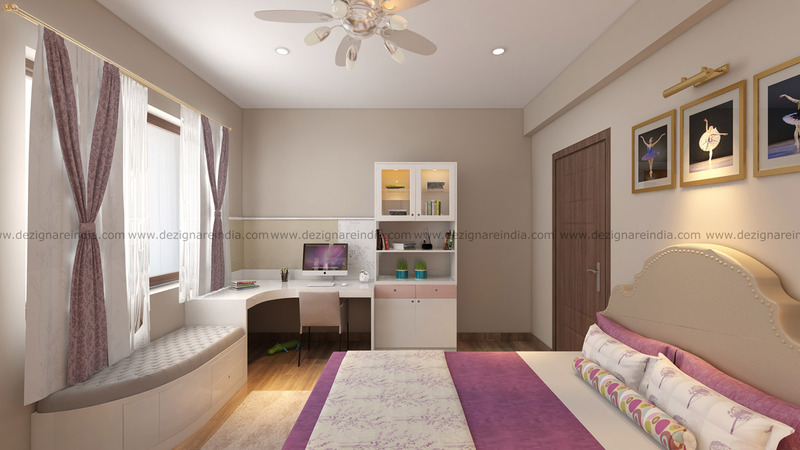 Designer's Blog :The study and TV unit in the guest bedroom with the same features brings the functional aspects. The wide angle windows make up for natural sunlight provisions. 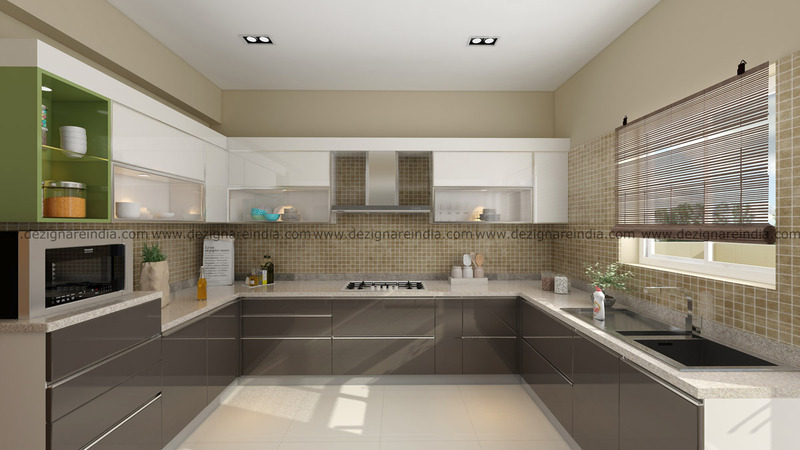 Designer's Blog: Spacious and stylish are what defines the modular kitchen of the project. The maximum storage with elegance satisfies the functional aspect of the kitchen. Designer's Blog : With warm notes running through every room, this charming space exudes unmistakable warmth while stylish add-ons lend quiet opulence to every corner. 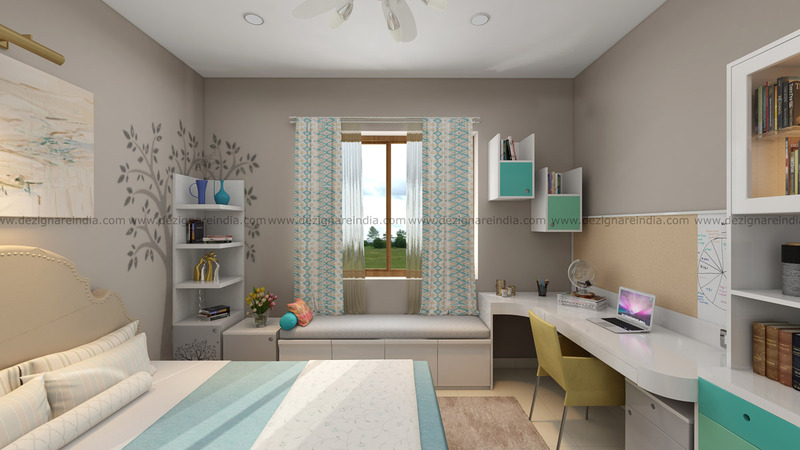 The work and study desk space along with a neatly stacked book shelf make for an optimum design. The wall art is likely to be a hit with the youthful mind. Designer's Blog : The teal and light green color on the wardrobe and study unit adds coolness to the entire room and see how the wardrobe offers a dedicated shelf for the favorite stuffs. The room has a design that is not just elegant but also boats of supreme comfort. Designer's Blog : Vibrant and aesthetic are the keywords that underline the dining room space. 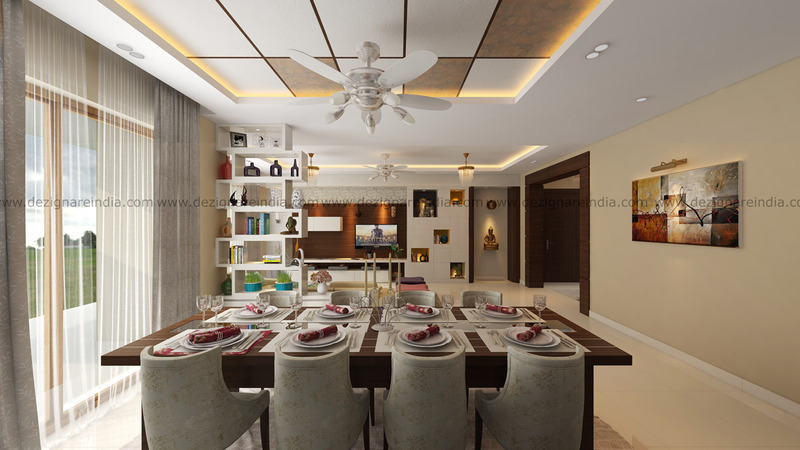 The geometrically patterned false ceiling adds a touch of glam to the classy dining room setting. The muted palette of the walls takes a backstage to let the chic partition take the spotlight and separates from the family and dining. 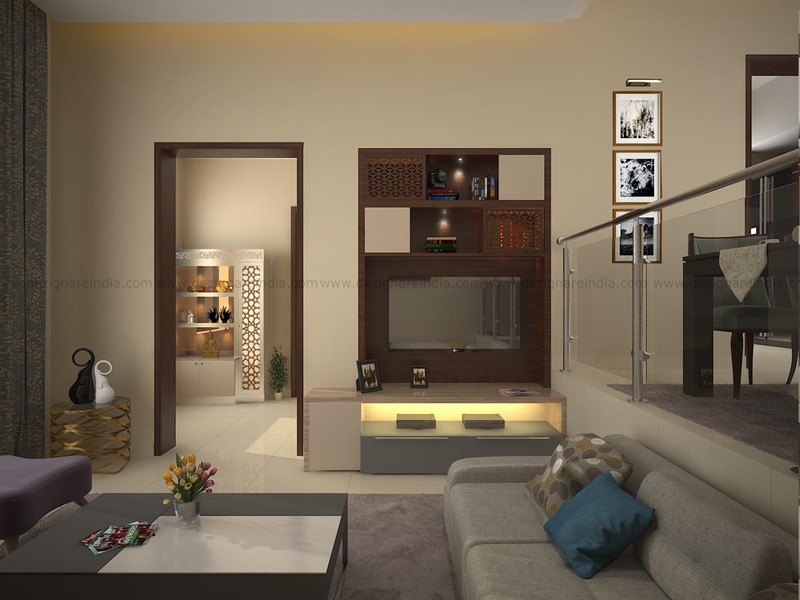 The elegantly designed TV unit with the pretty niches dramatizes the space. Designer's Blog : The foyer is beautifully designed with bronze mirror console. 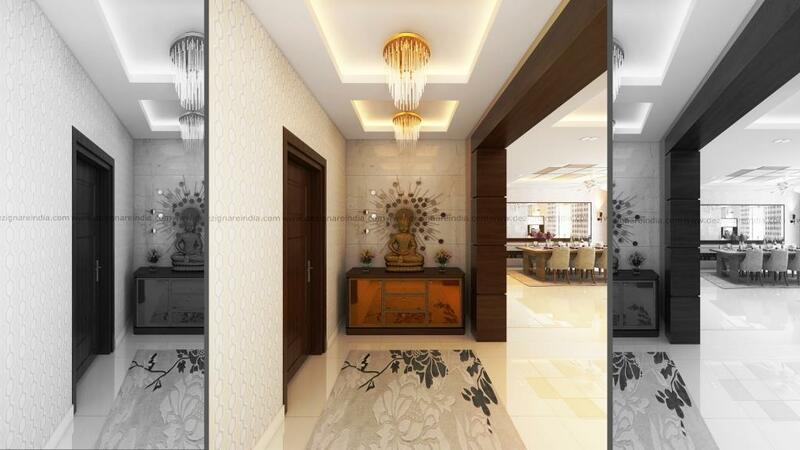 The mirror wall decor with Statue on console and walnut brown thick architrave brings the warm welcoming aesthetics. 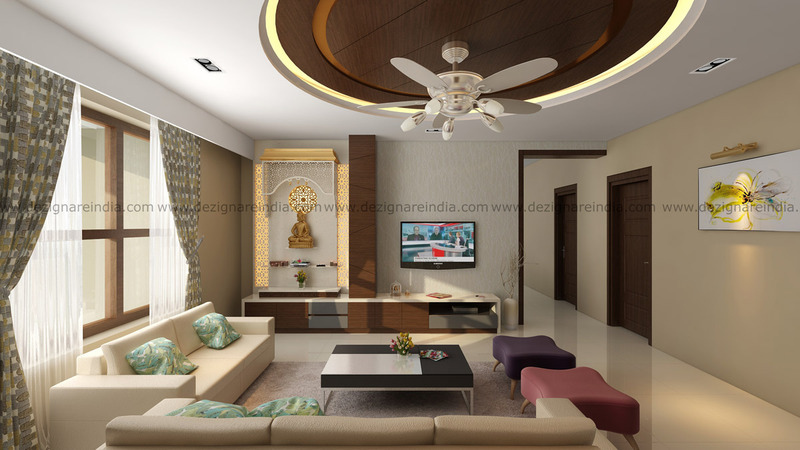 The simple square shaped false ceiling with the crystal string chandeliers adds the beauty.